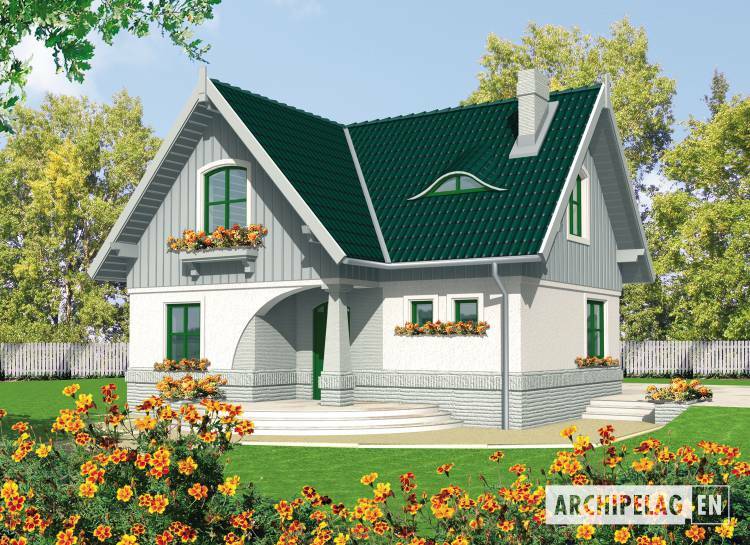 A bungalow with functional attic, without basement, intended for 4-person family. That's a very good project for a narrow plot. In the daily zone on the ground floor are: living room with kitchen and dining room, study, toilet and utility room. In the night zone on the attic are 3 bedrooms, bathroom and box room. A house designed in bricks technology with suspended beam and block floor. Ferro concrete stairs. A roof of wooden structure tiled with cement or ceramic. Facades finished with structural plaster and wooden siding. Woodwork windows.